From a basic online business card to a full-blown ecommerce enabled online store, mysitespace has the web hosting package to meet your needs. You can start with a basic hosting package and upgrade anytime. Whichever hosting plan you choose, you’ll know that your website will be up and running quickly and with ongoing reliability of our 99.9% uptime guarantee. You can manage your website with ease thanks to our powerful yet simplified web hosting “control panel” that makes “Website management” as easy as using a word processor! We’re so confident that we even give you a 30-day money back guarantee! Choose a web hosting package. Business email, web storage, bandwidth and all the tools your business needs to succeed online! View our website hosting packages, starting from just $9.99! Need to host more than one website? If you are looking for an affordable, feature-rich web hosting and email package that can accommodate up to 75 websites, look no further! 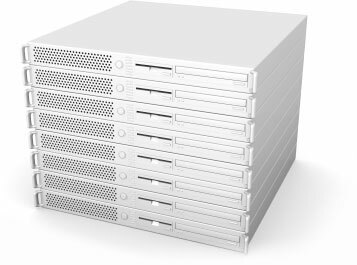 Reseller packages starting from $74.99! Web hosting is a service that allows your website to be online and makes your site available for others to view on the Internet. Think of web hosting as an online storage service for all the content displayed or accessed through your website. Today many consumers start their search online prior to making a purchase at a brick-and-mortar store — your website may be the first chance you have at making a good impression on a potential buyer. Having a website can benefit every type of business or services. A website helps you reach customers which widens your customers base and helps you gain credibility and loyalty from present and potential customers. Serves as a communication medium to help increase your customer base and reach new audiences.